It's her favorite blank canvas. We all have our favorite fashion fallback, whether it's a trusty LBD or a plain white tee. Basics are basics for a well-loved reason—they become the dependable, quiet-yet-hardworking foundations of your wardrobe. 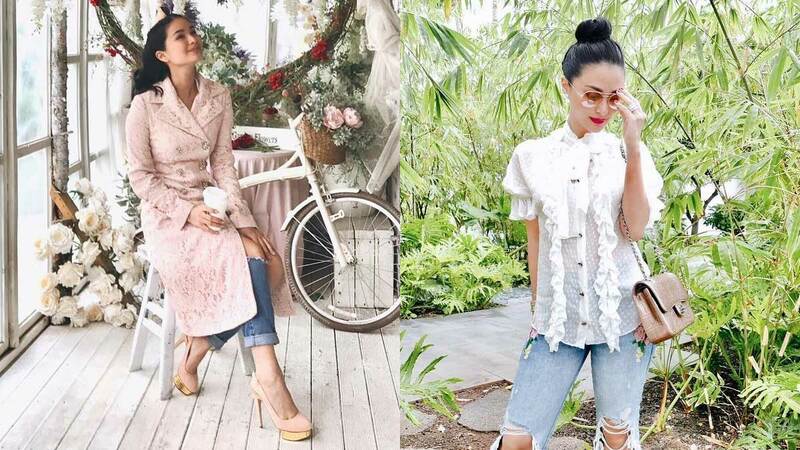 For Heart Evangelista, it's easily a pair of blue jeans! Here is a lightning-quick roundup of the best ways she's dressed them up...you know, in case you needed some denim OOTD inspo. Style by example! When exploring the streets of Paris, Heart's got a no-fail outfit formula: long overcoat, jeans, and heels. It won't let you down, either! There's no better way to show you mean business than topping things off with a blazer or suit jacket. Heart always chooses to punctuate her outfit with blinged-out touches, like bejeweled bugs and bright, neon pink. She goes casual, too...but maybe not the way you'd think. Whether it's a simple tee, a Gucci bomber jacket, or a hoodie and (are our eyes deceiving us?!) sneaks, Heart never steps out sans a bit of shine. Yes, it's affirmative: you can wear your good ol' blue jeans out to a dressy event. Heart is the clear expert in the said department! Ah, the most classic pairing. A tip: if you're going to don a white button-down shirt, make sure you hunt for deets like ruffles and a corset belt to make your whole ensemble 100% more interesting.